As a high school soccer player who wants to play collegiate soccer, you should know that you will need to reach out to coach and introduce yourself to them. Without taking this step, your chances of that coach knowing who you are is greatly reduced. The introduction to a coach is important, but another form of communication that is equally important is the follow up message to a coach, which often times will come in the form of a thank you letter. One of the most important reasons why you want to thank a coach is because it shows your gratitude and respect you have towards a coach for their time. Consider the following actions a coach could make. A coach sets up a campus visit for you. A coach came to one of your games or tournaments. A coach spoke with you at a recruiting event. A coach reached out to you to express their interest in you as a potential student athlete. What do all of these events have in common? In each situation, a coach took time out of their day to do something for you. Just like most other professions, coaches are extremely busy people. They took the time out of their busy schedule to do something and make time for you as a potential student-athlete when they surely had multiple other things that they could have been doing. It is important to understand this and to show a mutual respect back to the coach for giving their time and consideration to you. A thank you message to a coach for setting up a visit, or seeing a game, or speaking with you on the phone only takes a relative small amount of time and effort to compose and send. However, the impact this makes on the coach is much larger. The coach will understand that you truly are thankful for the interaction and that you respect the time and consideration that they gave to you. As a potential student-athlete, it is important to remember that dozens, even hundreds of other student-athletes are reaching out to this coach in hopes of being a future player at their college or university. We all know that it is important to stand out on the playing field to be recognized by a coach. But what else can you do to be recognized (and remembered!) by a coach? Sometimes, just being a good soccer player is not enough. The truth is, there are a LOT of good soccer players out there. At any given showcase or tournament, a coach might see anywhere from one or two, all the way up to a couple dozen players that could make an immediate impact on their roster. So after an interaction with a coach, it is critical that you follow up and thank the coach in order to leave a lasting impression. Let’s run through a scenario to try and understand this. A coach goes to a showcase to recruit two players that they have been in communication with. Both players perform equally well, and as far as soccer ability goes, there is very little difference between them. A day after the showcase, the coach opens his email and finds a thank you email from one of the two players they were recruiting. Which player do you think the coach is more likely to remember and/or follow up with after the tournament? I can say with almost 100% certainty that it will be the player that sent them the thank you email. Coaches get contacted by a huge number or potential recruits. You need to make sure that this coach remembers YOU and that you make a lasting impression on them, even after the games, showcase, visit, etc. has ended. Finally, sending a thank you message to a coach says a great deal about your character and you as a person. Like the above reason, you need to do everything you can to stand out as a potential student-athlete. For coaches, it is becoming more and more important that they not only recruit good student-athletes, but that they are also recruiting good people. With technology today, news spreads faster than ever. Anything significant that you do, good or bad, will most likely be made know to the public. Coaches want to be assured that if their student-athletes do end up in the news, it is for all the right reasons. 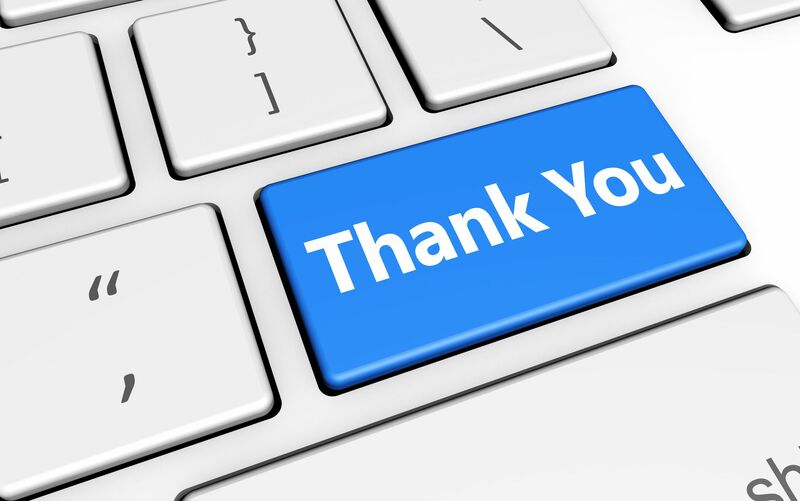 By sending a coach a thank you message, you are sending them subtler—but no less important! —messages as well. You are sending them the message that you are respectful and responsible. You are sending them the message that you are considerate of others and the time that they give you. You are sending them the message that you notice the small details, and are willing to attend to and execute those small details. You are telling a coach that you are not only a good student-athlete that can be relied on to perform well on the field, but you are a good person that they can rely on to perform well off the field, too. Now that we better understand the reasons behind why you should thank a coach, we need to now understand when we should thank a coach. Timing is everything. Thanking a coach for coming to a showcase or game that took place over a month ago will likely do no good. That event is too far in the past for the thank you message to have a significant meaning now. It is critical that the thank you message is sent shortly after the event you are thanking the coach for. A good suggestion would be to send the thank you message within a day or two of the event, and wait no longer than a week to send it. Again, after a week, the thank you message will carry much less meaning as the coach has likely moved on from the event and is focused on something else. Another critical aspect of timing is understanding where you are in the recruiting process. It is different for coaches at different levels of the college game (i.e. NCAA DI, NCAA DII, NCAA DIII, NAIA, NJCAA) but some coaches cannot respond to you or actively recruit you until you reach your junior year of high school. Therefore, you have to know when you can expect a response from a coach. If you are a sophomore, it is highly suggested to send a thank you message to a DI coach if you attend their camp or they watch one of your games, for example. But because of your age, you should not expect them to respond to your message as you are outside of the age and grade they are allowed to recruit per NCAA rules. Now that we understand the reasons we should thank a coach and understand when we should thank a coach, it is now time to put everything together and learn how to thank a coach. Before we get to the sample thank you message, let’s look at a few important things to keep in mind. Be professional in your communication. Use proper grammar, spell check your message, and be sincere. Make sure the information you include in your message is accurate to the coach you are messaging. Make the message personal. If you are sending a mass email to dozens of coaches at once, it is very obvious to us and will get deleted. Examples include things like “To whom it may concern” as the introduction or sending an email with “your school” but then giving no actual details about our school. Bring out specific, personal statements in your email to stand out to the coach. Taking the time to write individual, specific messages will increase your chance of a response. NEVER have your parents write the thank you message to the coach. The coach did something for you, not for your parents. You are the potential student-athlete, not your parents. The coach wants a message from you, not your parents. Be brief and to the point. As stated before, coaches are extremely busy. Include all the necessary information in your email, but do not overelaborate or write something just to write something. Everything should have a purpose. If you want to include additional information like a game/practice schedule, showcase schedule, coaches contact information, or game film, I would suggest sending it as an attachment. Create a player profile (like a personal PowerPoint slide) that contains all this information. This allows the coach to quickly look at it if they are interested, and it does not clutter the thank you message. Now that we have addressed the multiple aspects of thanking a coach, we can summarize everything we have gone over. There are multiple reasons to thank a coach, which includes: helping yourself stand out, being memorable long after the games/showcases/visits/etc., showing respect and courtesy to the coach, and displaying your notable qualities as a person. We also must recognize when the proper time to thank a coach occurs. It is important to remember that if you wait too long to thank a coach, the impact of the message will be drastically reduced. It is also worth noting that depending where you are in the recruiting process and what coach you are sending the message to, you may or may not receive a message back based simply on the college recruiting regulations. Finally, we discussed how to go about thanking a coach. You must remember to be professional, make the message personal to the coach you are addressing, YOU—not your parents—should be writing the message, and to be brief and to the point. Once you have an understanding of everything that goes into a thank you message to a coach, you will have a much greater chance of success in communicating effectively with that coach. Below are some examples of thank you messages that can be sent to a coach. My name is your name and I play for your club or high school. I graduate in grad year and my jersey number is # your number. I wanted to send you a quick note and thank you for coming out to my game/showcase and watching my team play. I really appreciate you taking your time to watch myself and the team play. If you have any feedback about me personally, I would love to hear it so I can work to improve and develop more as a player. I noticed on your team website that you have a spring game coming up next weekend. Good luck to you and your team! (This is an example of a personal touch to add to the message). I have attached my personal player profile to this email if you would like to view more information on me or my highlight film. I hope to hear back from you soon. This is your name. I wanted to send you a quick note and thank you for setting up a visit for me, speaking to me, and showing me around campus. I really liked the campus and think it would be a great atmosphere for me as a student-athlete. (Include a personal reason why you want to be a member of the soccer team related to your visit – i.e. got along well with the player(s) you met, really great facilities, coach made you feel important and welcome, etc.). 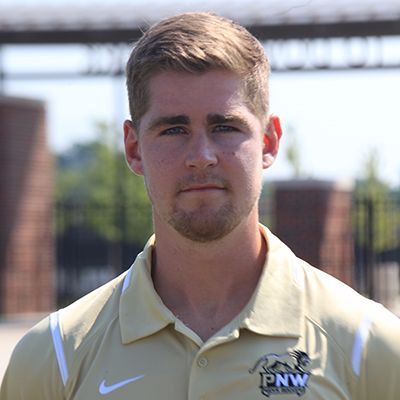 Luke Dunn is an assistant coach for the men's soccer team at Purdue Northwest University and he recently earned his Master's Degree in Leadership and Sports Management. A 2014 graduate of Valparaiso University, Luke spent 4 years as a member of the Crusader's varsity soccer team, helping lead the team to the 2011 Horizon League championship. He has worked 13+ camps for EXACT Sports. Luke Dunn, Assistant Coach from Purdue Northwest University, provides insight on when and how to thank a college coach.